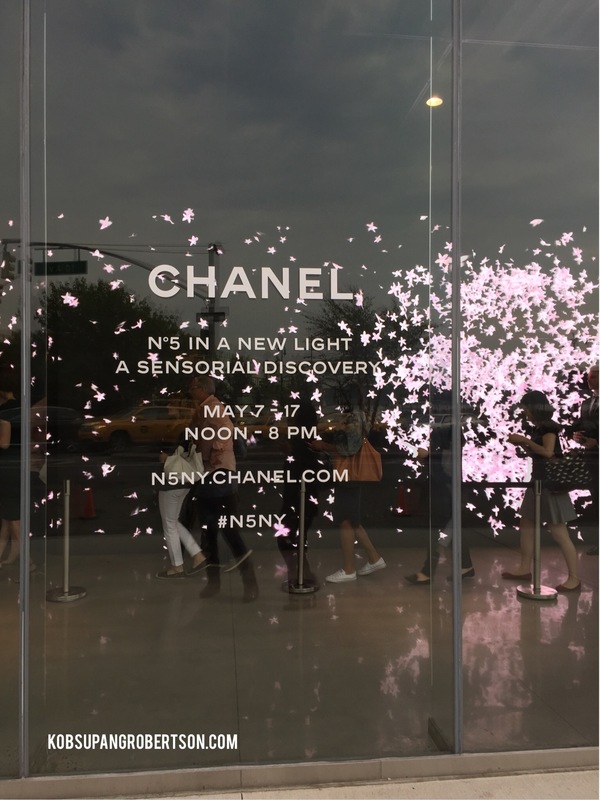 Living in New York City, there are tons of new events daily, but one that you shouldn’t miss is Chanel’s No.5 in a New Light. 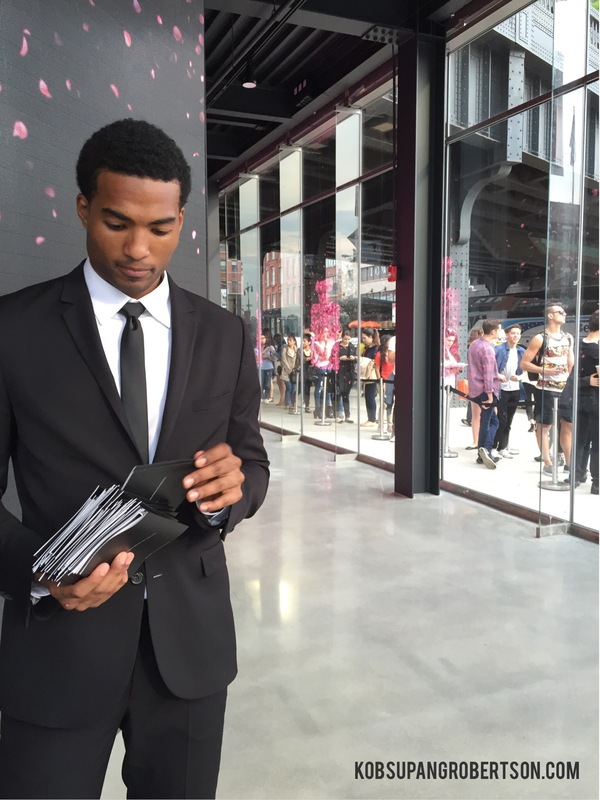 The new pop-up exhibit is located in Meatpacking district, 461 West 14th Street, fairly close to Chelsea Market and the High Line. 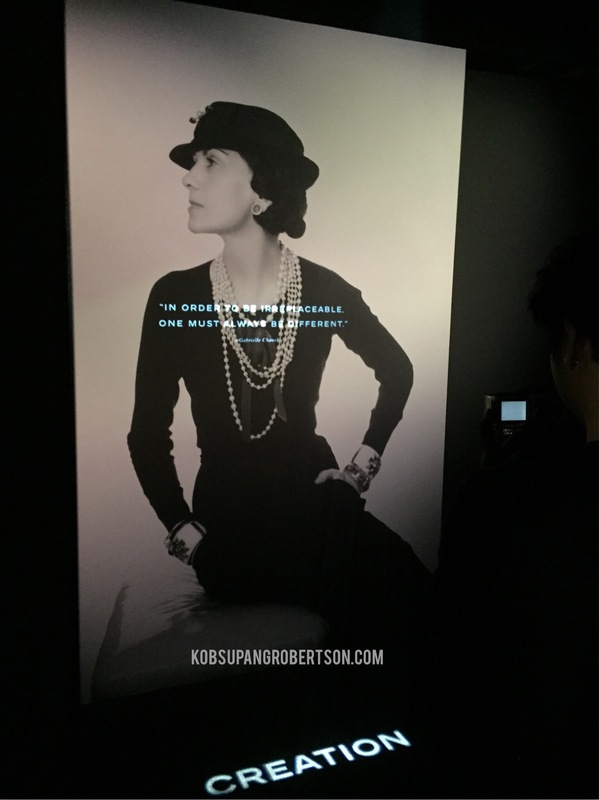 The exhibit has been on going and I finally got to experience it the day before last. The event is free of charge, but it’s best that your register here before hand to skip the huge line. 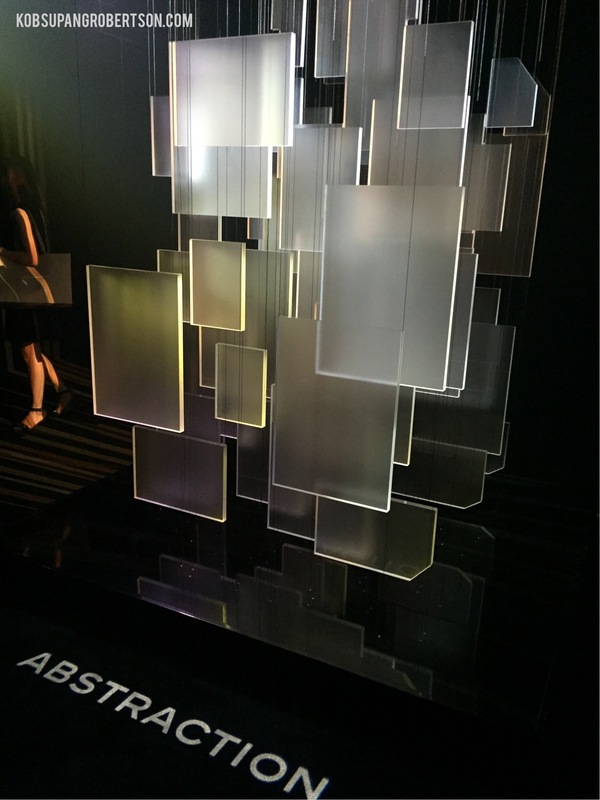 Once you get inside of the exhibit, you will be let in with a small group. 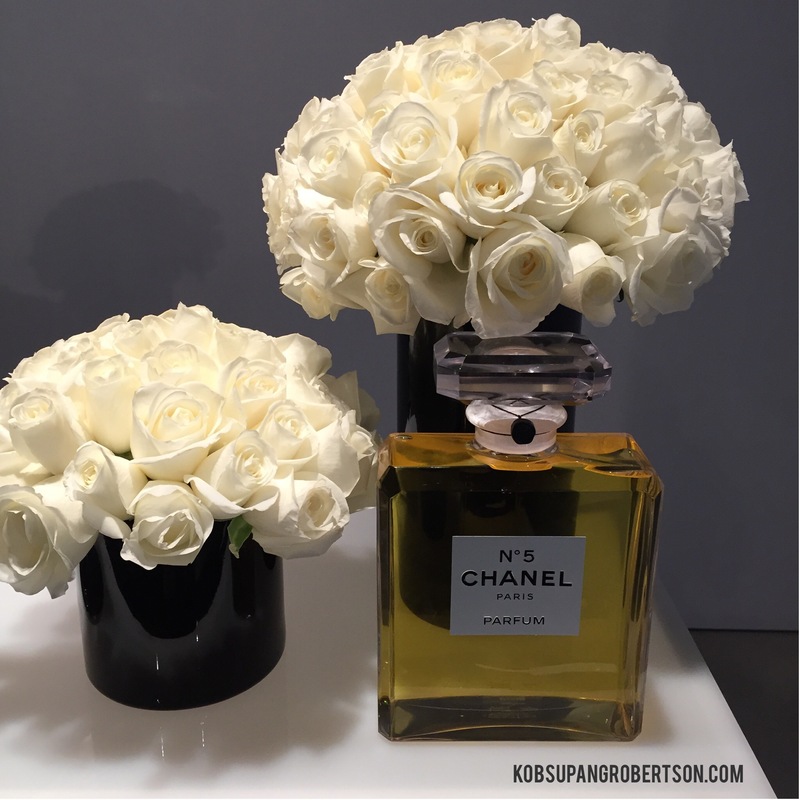 First, they ask you and your group to circle around just to hear the voice of Gabrielle “Coco” Chanel greeting you. Followed by a full sensory experience which takes only a few minutes. 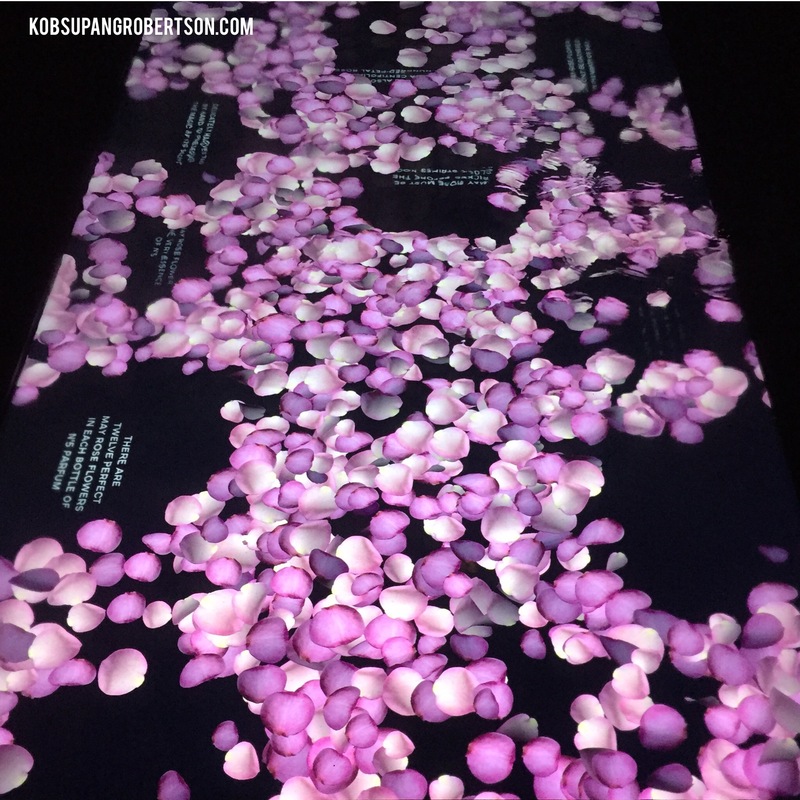 Chanel features a virtual pond complete with floating rose petals, you can wave your hand to see the story about its history and creation underneath. Next, you will see lighted discs. To learn about the fragrance notes, move your hand over the lighted discs down below, and you will hear different musical notes. Oh, and kudos to those good looking men in suits who were very attentive and more than happy to answer your questions. 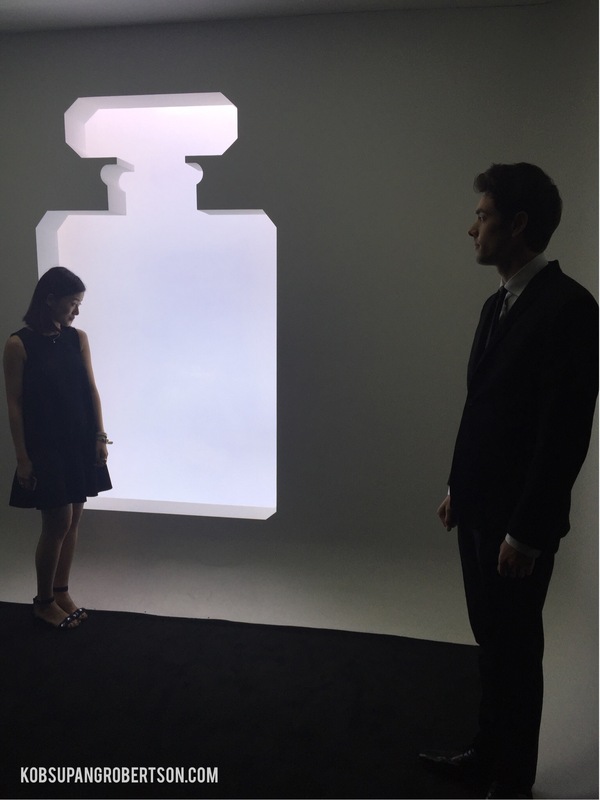 At the very end, you’ll see a huge white decal of the Chanel No.5 bottle and you are more than welcome to step closer to be engulfed in the scent of the new Eau Première, the “modern interpretation of No.5. 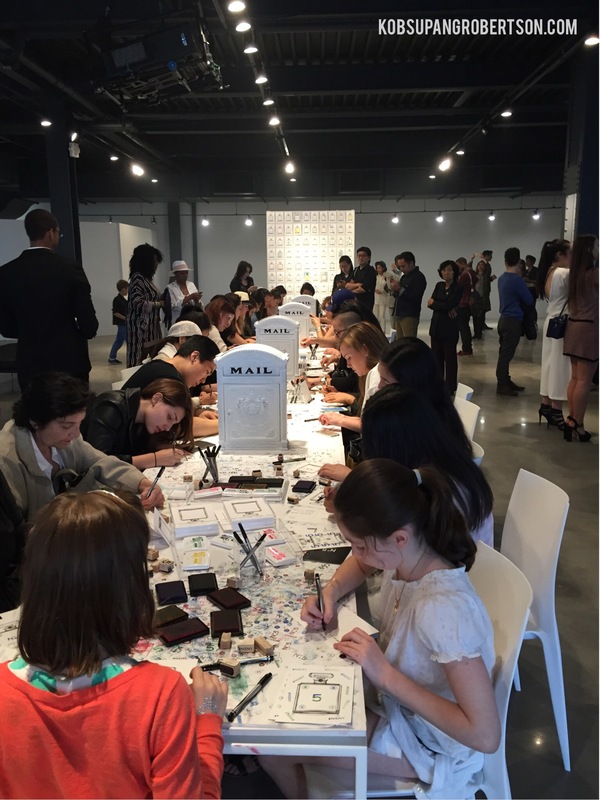 Once you are done with the tour, you will see a huge board displaying handmade Chanel postcards, you can also make your own and mail it to anyone by dropping them in the mail boxes provided at the workshop. 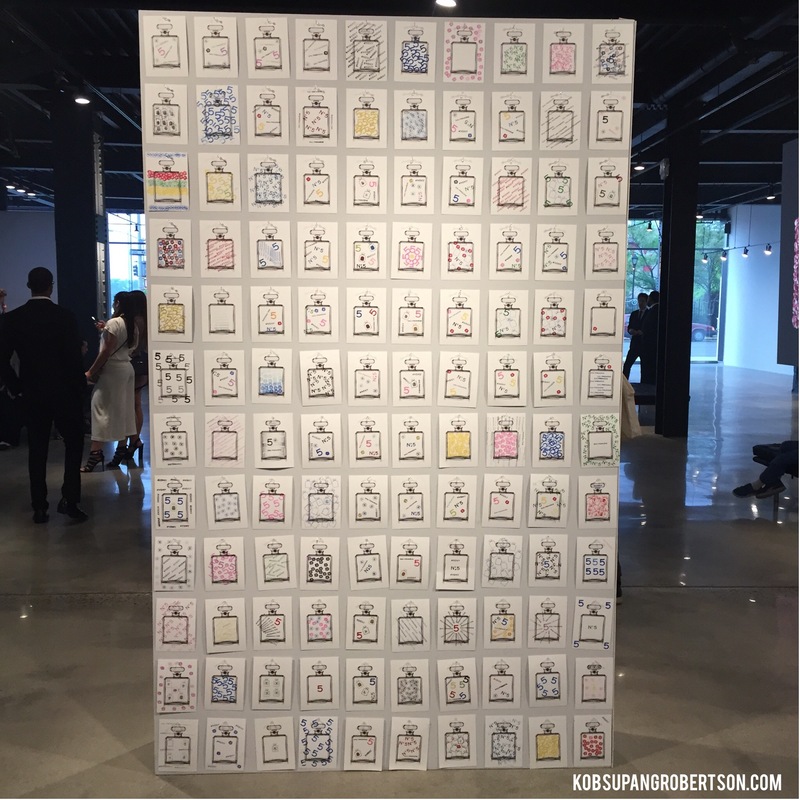 Last, but not least, you can try the Chanel perfumes, of which a few different bottles are displayed. Of course, I had to try the lastest one. They will also hand you a free sample. It was a short, but very sweet experience. 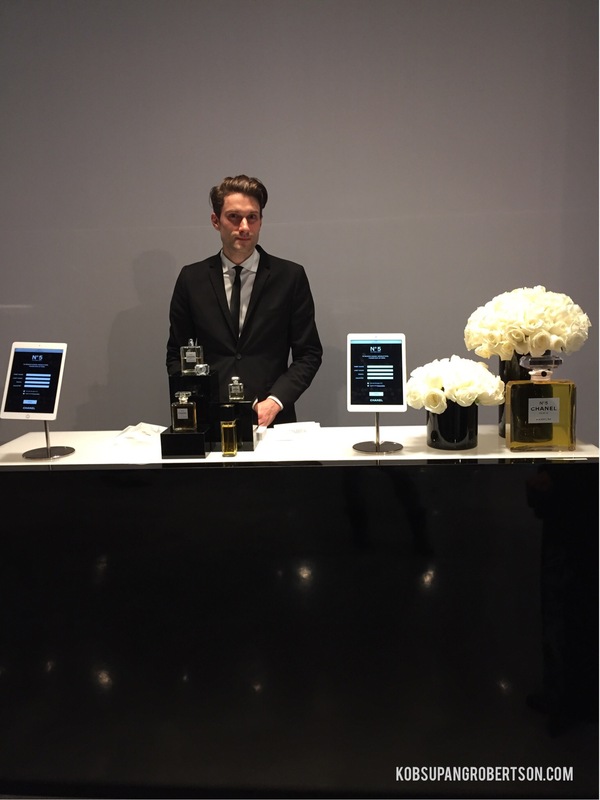 Today (May 17th) is the last day to make your reservation and let your senses be your guide, “through the creation, cultivation, composition, abstraction, and revelation of the world’s first modern fragrance,” as Chanel describes it. Trust me, you will be very pleased.